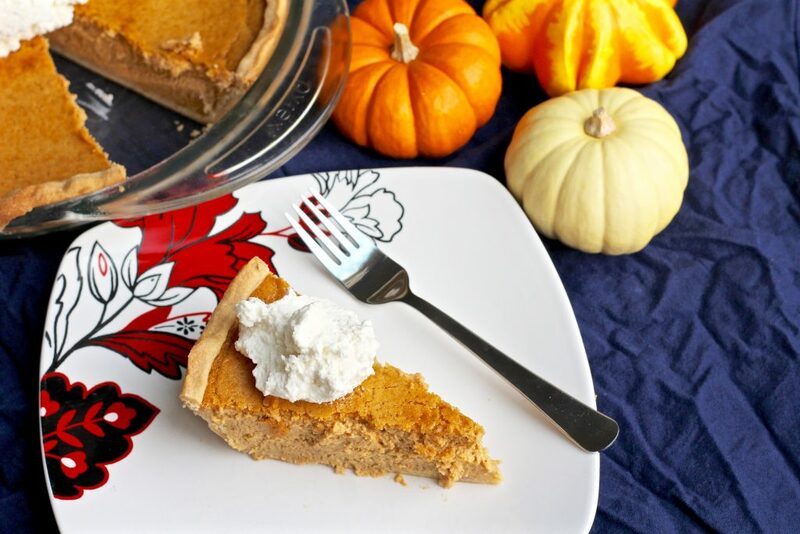 This cream cheese pumpkin pie is one of my all time favorite pie recipes. 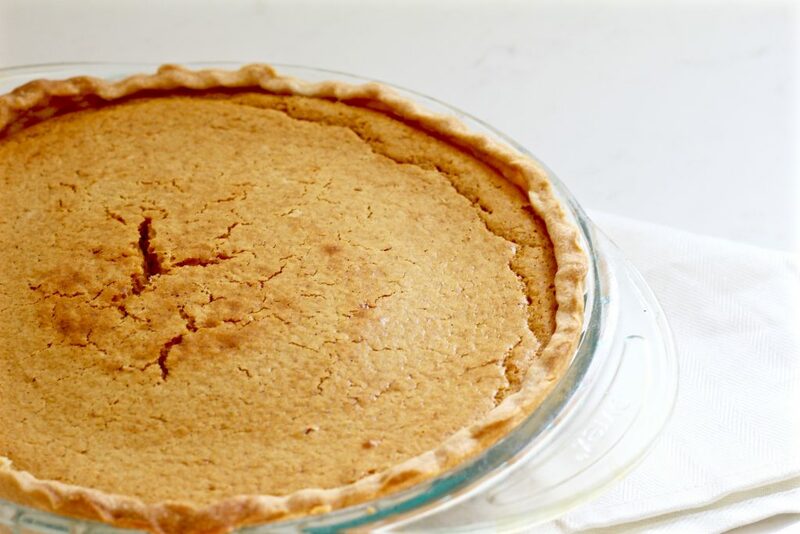 It takes the classic (and delicious) pumpkin pie and adds an extra element of creaminess to it. 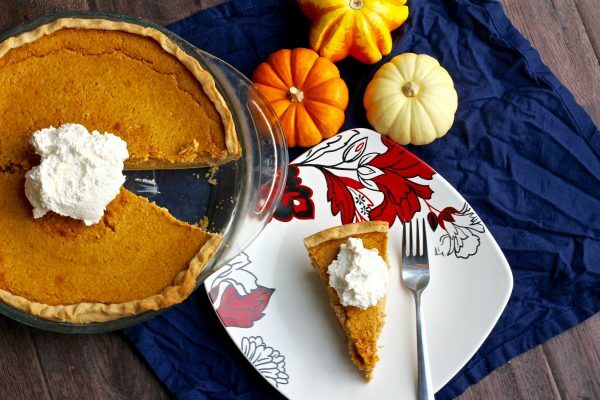 It’s especially great if you’re still on the fence about whether you like plain pumpkin pie or not. I’m talking to those of you who (like me) didn’t grow up eating pumpkin pie and haven’t gotten used to the flavor yet. 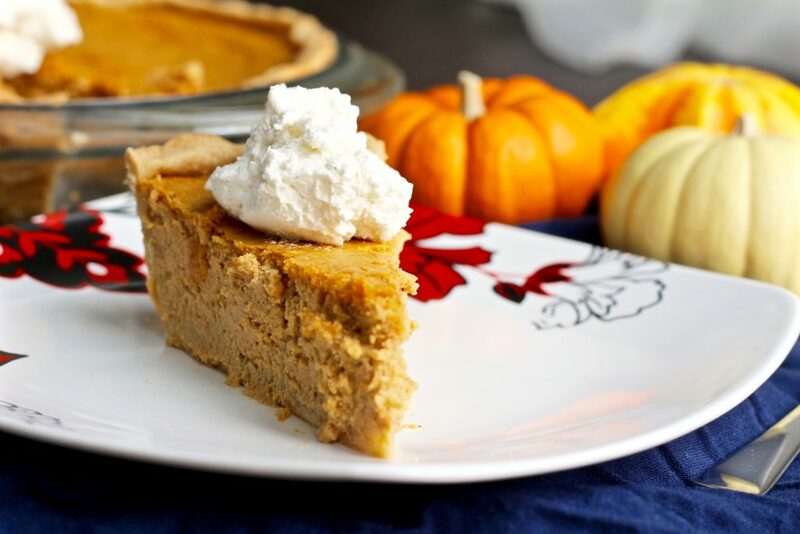 Although it tastes very much like a pumpkin cheesecake, this pie is much easier to prepare. I love how quickly the filling comes together. 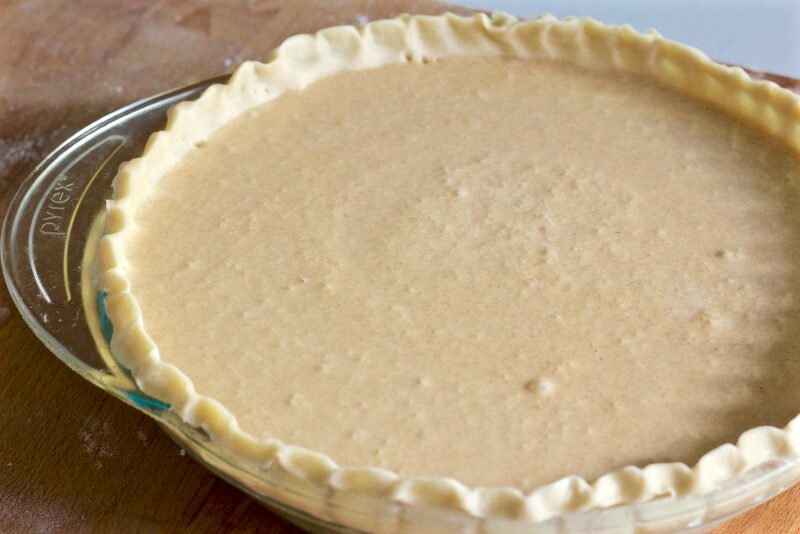 And if you have the pie crust pre made, it’ll only take about 10-15 minutes to put it together and get the pie in the oven. 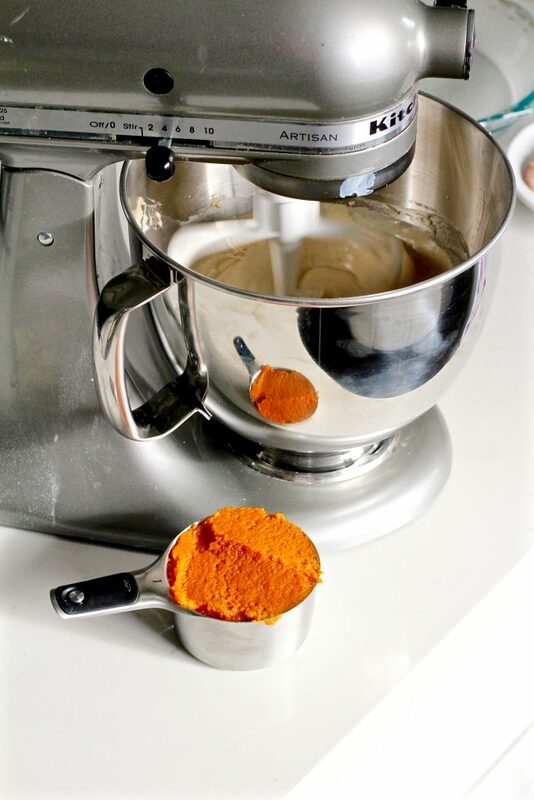 Prepare yourself for delicious aromas of creamy pumpkin and spice filling the house! 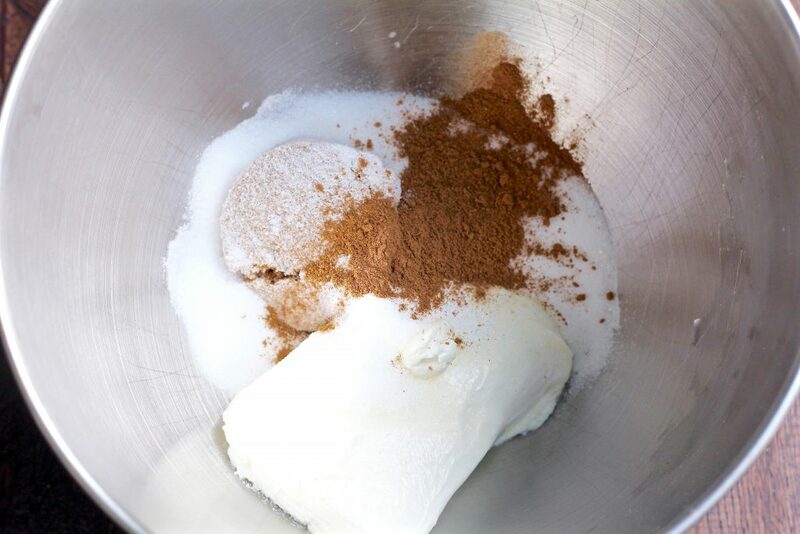 In a mixing bowl, combine cream cheese, sugars, pumpkin spice, and salt; beat well until fluffy. Next, beat in eggs, one at a time, beating well after each. 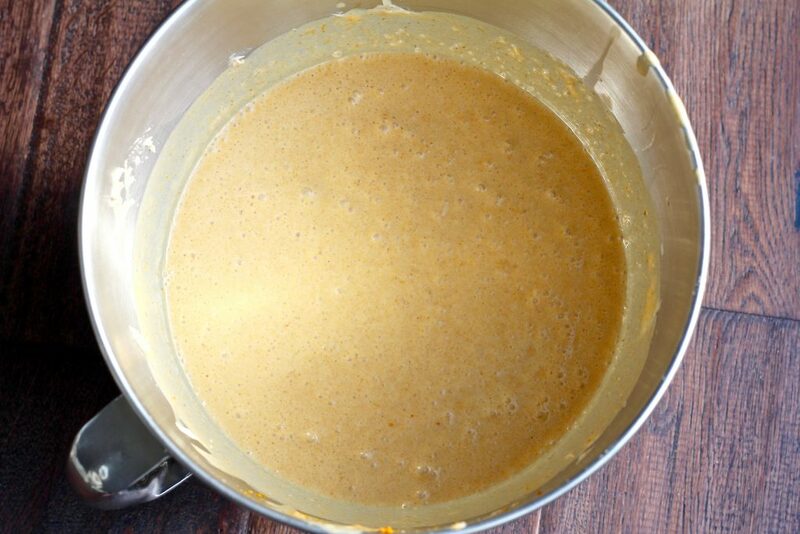 Then blend in the pumpkin, evaporated milk, and vanilla. 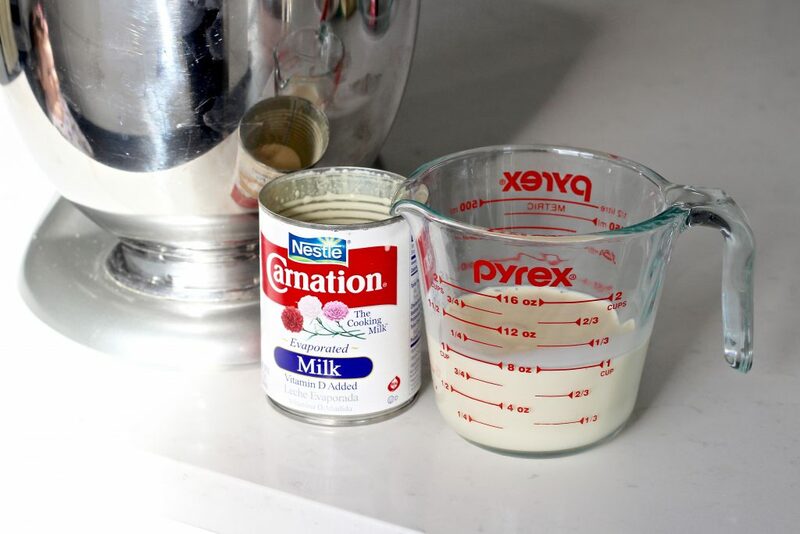 (Turn down the speed so the milk doesn’t splash everywhere.) 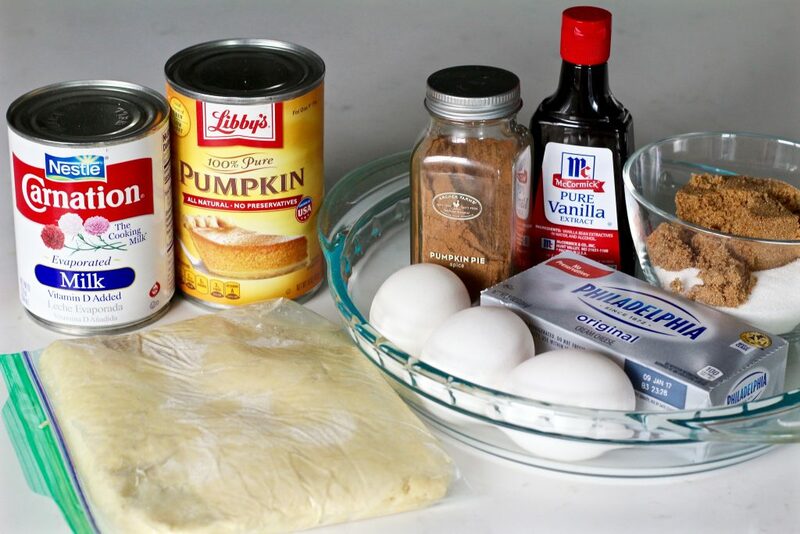 I like to use evaporated milk for this cream cheese pumpkin pie because it makes it extra creamy. But if you don’t have any in your pantry, just use whole milk or 2%. 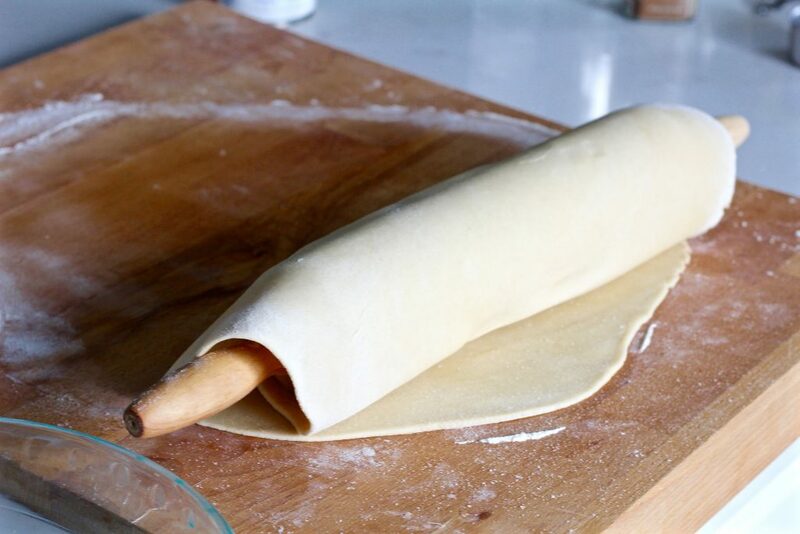 Start by rolling out the pie dough to 1/8″ thickness. 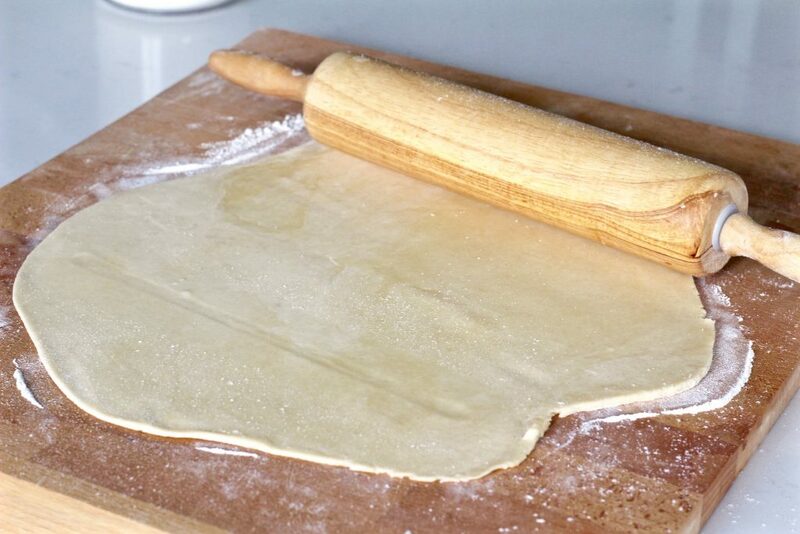 Then transfer to a greased 9″ pie dish using a rolling pin. 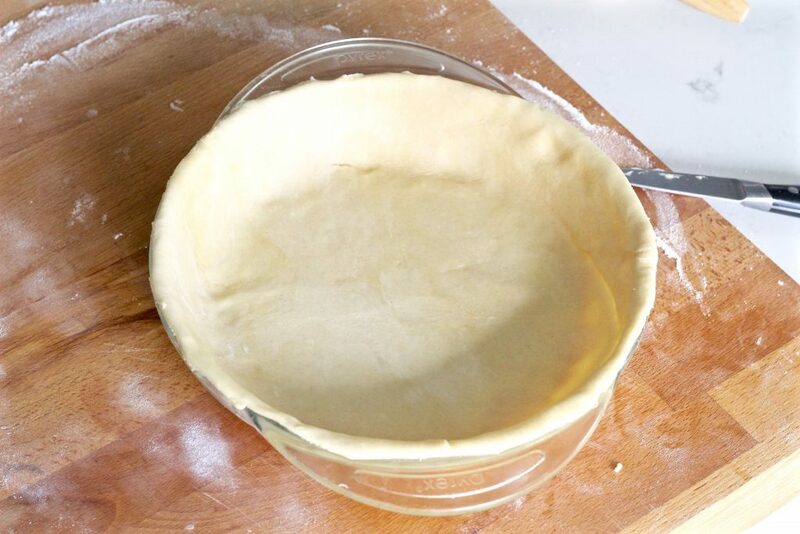 Finish by trimming any extra crust and use fingers to crimp the edges and poke holes with a fork. 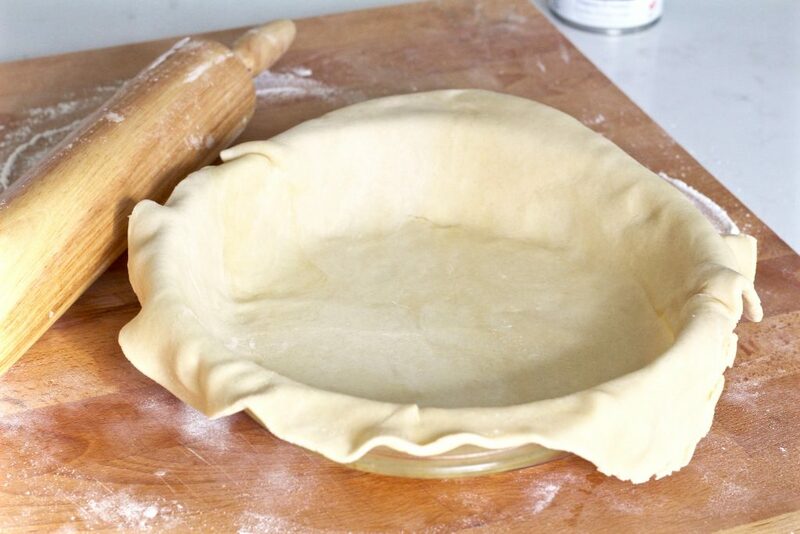 Then pour filling into the unbaked pie crust. Bake in 375 degree oven for 45-55 minutes until crust is golden and toothpick comes out clean when inserted into the center. Chill at room temperature then transfer to refrigerator when it’s cooled off. Serve with fresh cardamom whipped cream. 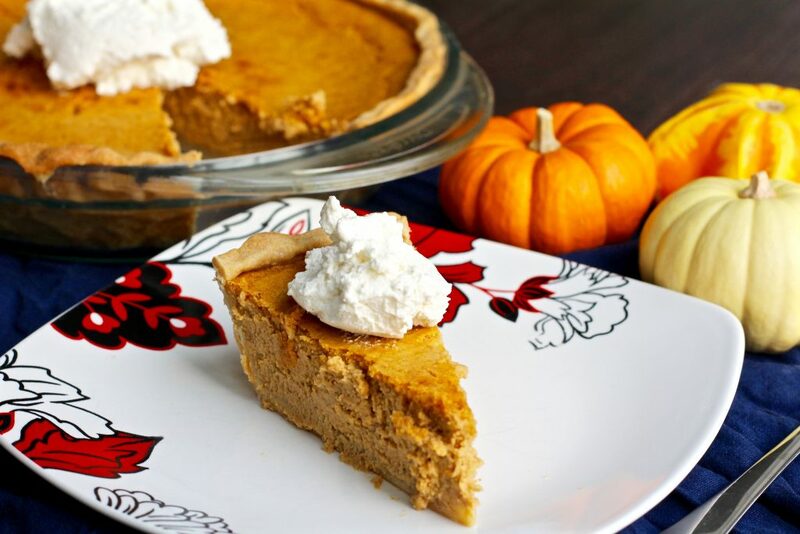 This cream cheese pumpkin pie is creamy, spicy, and sweet. 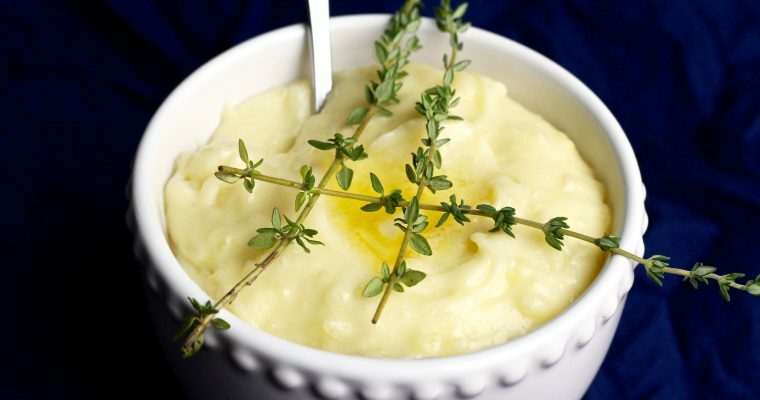 The perfect combination for a Thanksgiving dessert! Beat in eggs, one at a time, beating well after each. 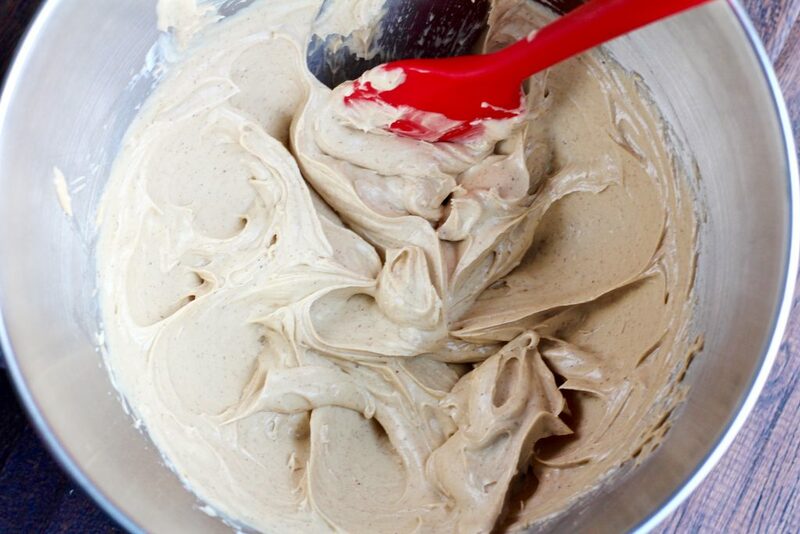 Blend in the pumpkin, evaporated milk, and vanilla. 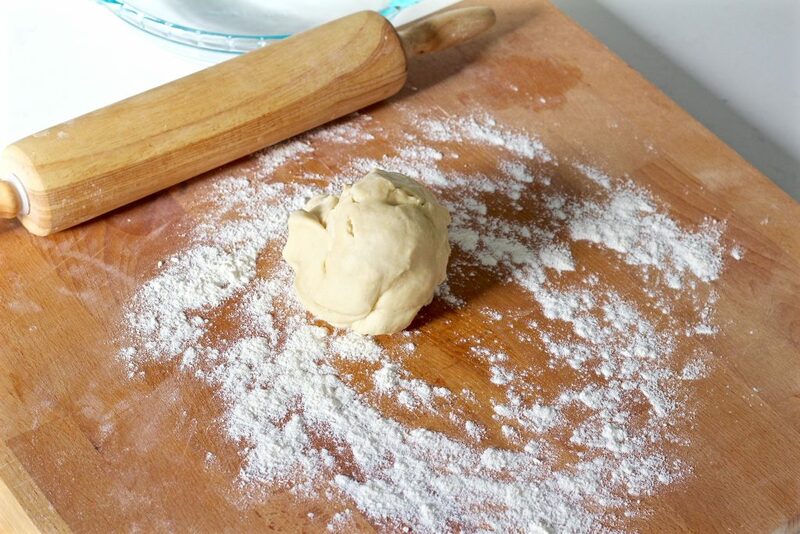 Roll out pie crust to 1/8" thick and transfer to a greased 9" pie dish using a rolling pin. 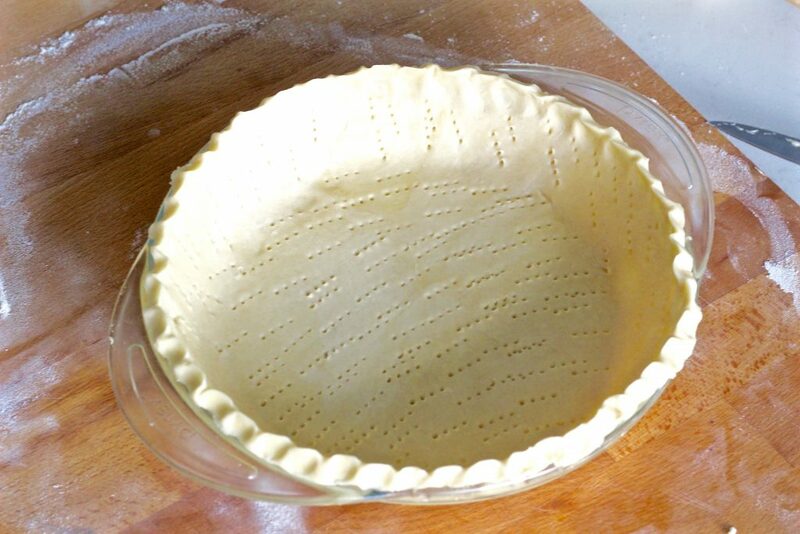 Trim any extra crust and use fingers to crimp the edges and poke holes with a fork. 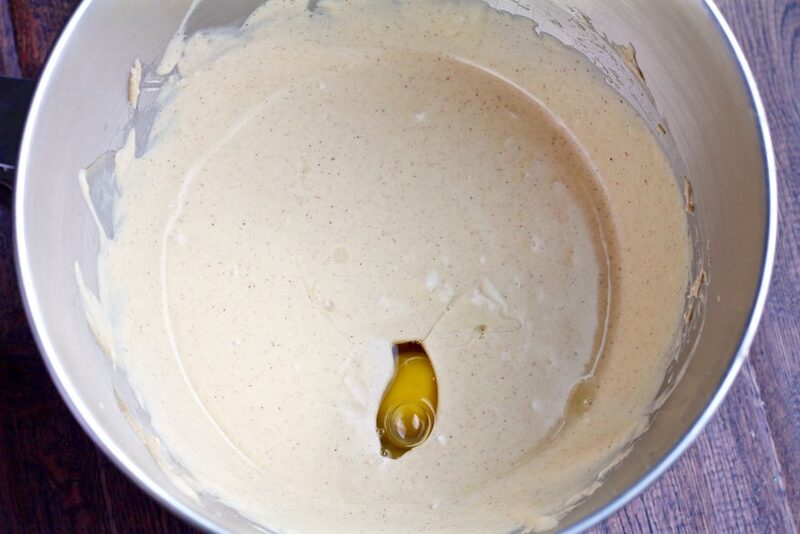 Chill at room temperature then transfer to refrigerator when it's cooled off.